Author Jack Todd won the Mavis Gallant Prize for Non-Fiction, the Quebec Writers' Federation First Book Prize, and was a finalist for the Governor General's Award for Non-Fiction. 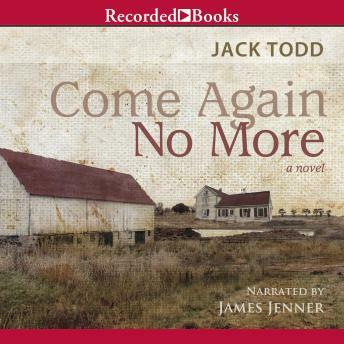 In Come Again No More, the Paint family suffers during the Great Depression. Despite his great wealth, Eli Paint is unhappy. When events leave him struggling for his life, Eli must closely examine the decisions he's made separating him from his daughter. Now, Eli has a chance for redemption through his granddaughter-but will he make the most of it?